ACCL » Geisen, William G.
Serve as Chairperson of firm’s Construction IndustryGroup, concentrating in all areas of construction law. Firm Loss Prevention Partner (2000-2002), (2006-Present). In September, 1992, established firm with emphasis in construction, commercial and personalinjury litigation and dispute resolution. Practice concentrated in defense litigation and dispute resolution, primarily in areas ofmedical negligence, construction contract and family law. Duties involved primarily insurance defense and criminal defense cases. Position entailed assistance in Plaintitrs personal injury, commercial and construction litigation. 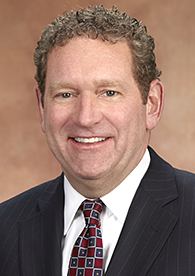 Bill Geisen is a chair of the firm’s Construction Service Group. His practice focuses on construction law including dispute resolution, litigation and contract negotiation. Licensed to practice law in Commonwealth of Kentucky; State of Ohio; United States District Court for Eastern District of Kentucky and United States District Court for Western District of Kentucky; United States District Court for Southern District of Ohio. Diocese of Covington: Board of Catholic Education, Chairperson (1989-1995); StewardshipCommission, Member (1993-1994); Search Committee for Director of Catholic Education,Chairperson (1990); Secondary School Funding Committee, Member (1988-1991),Chairperson, (1990); Educators’ Scholarship Election Committee, Chairperson (1989-1993).National Congress on Catholic Schools for the 21st Century: Delegate (1991). Covington Latin School: Chairperson, Academic Advancement Fund (1995-1996);Chairperson, Capital Campaign, Special Gifts Committee, (1992). St. Pius X Church: Co-chair Faith in our Future Campaign (2003); Parish Council (Member1995-1998); Chairperson (1997-1998); Stewardship Committee (1998); Capital CampaignContinuation Committee (2004-Present); Debt Retirement Committee (2008-Present). Brighton Center, Inc.: Member of Board (2001-2006).Northern Kentucky Chamber of Commerce: Participant, B.E.S. T. Program (1988-1992).Kiwanis of Ft. Mitchell, Kentucky: Member (1988-1990).American Cancer Society: Volunteer (1993-2000). Covington Catholic High School: Boosters Organization (President Elect andMember of Executive Committee July, 2006 – 2007), (President 2007 – 2008),(Immediate Past President 2008-Present). Rev. Leonard Callahan Foundation: Member of Board and Chair of ScholarshipCommittee (1999-Present).